Dashain (also widely known as Vijaya Dashami) is the longest and the most auspicious Hindu festival in Nepal, celebrated throughout the country. Fifteen days long, it falls on the bright half of the lunar month of Ashoj (September /October) and ends on the full moon day. In the first nine days of Dashain, the Goddess Durga is worshipped in many manifestations during the sub-festival called Navaratri. On the tenth day of the festival, grand processions of idols of gods and goddesses are taken out in every town and village by worshippers rejoicing in the victory of good over evil. The rest of the five days mark the celebration of this victory with blessings from the goddess. The Dashain festival includes numerous pujas (prayer rituals), profuse offering of fruits and other special foods, many animal sacrifices, blessings of family members, and specific kinds of merriment. Out of nine nights of Navaratri, the first three nights are dedicated to the manifestations of Durga as the Mahakali, the goddess of action and energy; as Kumari, a young virgin girl; as Parvati, an auspicious wife and mother, and as Kali, the angry old woman. The next three days are dedicated to Mahalaxmi, the goddess of wealth, plenty and bliss. The last three days of Navaratri are dedicated to Mahasarashwati, the goddess of knowledge who teaches how to earn a living as well as how to live. 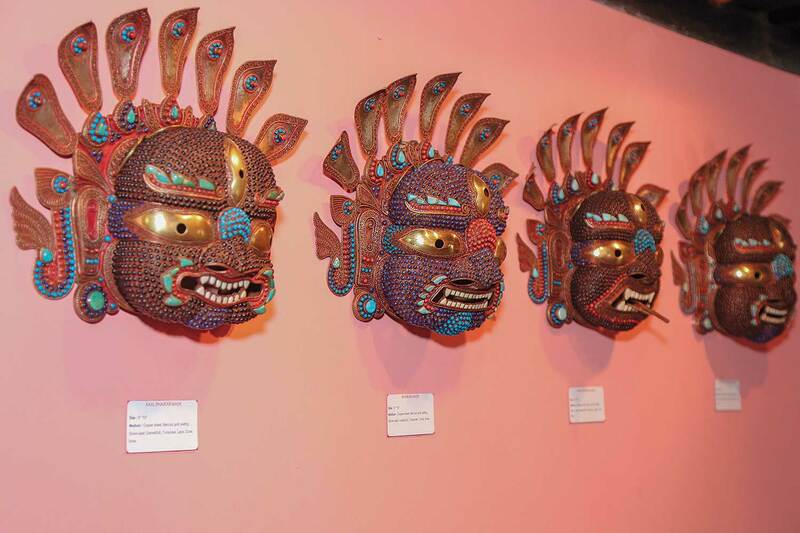 A number of mythological stories are attached to the festival. The most common theme of these is 'the victory of gods over demons'. Although the festival is generally celebrated to honor Durga, for this occasion she is also believed to be the collective strength of all gods and goddesses gathered in one form. The first nine days of the festival commemorate a fierce battle between Durga and the demon Mahisasur. It is believed that at one point of time the gods were almost powerless compared to the strength of the demons headed by Mahisasur. In answer to their prayers, the gods were ordered to contribute a portion of their divine powers to form a new goddess. Thus the goddess Mahisasur Mardini, the popular name for this manifestation of Durga, was created as a combination of the might of the 33 crore gods and goddesses of the Hindu pantheon. The tenth day of Dashain, Dashami is celebrated as the day when the gods were victorious over Mahisasur, slain by the goddess Mahisasur Mardini. Each day of the fifteen days' celebration of Dashain has its own significance. The first day of the festival is called Ghatasthapana. Ghada or kalash means 'holy vessel' and sthapana means 'to establish'. On this day, a kalash symbolizing goddess Durga is covered and purified with cow dung, decorated with flowers, and placed in a sacred room (called the 'puja ghar' or 'Dashain ghar') for worship. As in most of the Nepali holy festivals, cow dung, which is believed to be holy and antiseptic, is used to clean and paint the house and porch. A rectangular sandy area is reserved and the kalash is placed in the center. Around the kalash barley seeds, which are supposed to be pure and blessed, are sown. These seeds in the ancient days were brought from the bed of a holy river. The kalash is actually treated as the goddess herself and is worshipped throughout the festival. On Gatasthapana, Shailaputri, a form of Durga, is worshipped. An oil-fed lamp, 'diyo' is kept flickering next to the kalash at all times until the final day. The kalash is worshipped every evening and morning in rituals led either by the Brahmins (priests) or by the house owner. These rituals are performed at certain auspicious moments determined by the astrologers, invoking the goddess Durga to reside in the kalash. Throughout Navaratri, the kalash and the sand are sprinkled with water and protected from the sun. By the tenth day, the seed grows into five- or six-inch tall yellow grass called jamara, which is used on the day of tika as a blessing from the goddess. It is believed that offerings made during the later Bagwati's (another manifestation of Durga) puja have to be fresh and new, thus seeds are sown in one's own house so that jamara offered during this puja is in its purest form. Jamara symbolizes wealth and prosperity and is protected from the sun so that it retains its yellow color, which is thought to be auspicious. After Ghatasthapana, the next major excitement arrives with Fulpati, also known as Saptam, which is the seventh day of the festival. Fulpati, which means 'sacred flowers and leaves', is collected for three days from the jungle nearby. From this time onwards, females are traditionally not allowed inside the puja ghar. This is also a very special occasion in Kathmandu Valley because on this day, the jamara and kalash to be used by the Royal Family are brought from the ancestral palace (the original royal palace used during Prithivi Narayan Shah's reign) in Gorkha in a three-day parade complete with military regiment and priests. Government officials in their proper attire await the arrival of fulpati along the route and join the parade to Hanuman Dhoka, where fulpati (including the jamara) is placed in the royal Dashain ghar. While the sacred items are being placed in Hanuman Dhoka palace, the Royal Nepalese Army fires a salute at Thundikhel, as a part of the celebration observed by His Majesty the King. The eighth day of Dashain is called the Mahaasthami. This is the day for animal sacrifices in homes all over the country. It is an intriguing fact that originally when the concept of offering animals developed, animals were not slain but left astray in the periphery of the goddess' temple as an offering. Some orthodox Hindus fast on this day and others who don't favor animal scarifie offer vegetables like bottle gourds and radishes, coconuts, or eggs. Families who make animal sacrifices also feast on the meat afterwards. The following night is called the Kal (time) Ratri (night). On this night hundreds of sheep, chickens, duck, buffaloes, and goats are sacrificed in the goddess' temples, old palaces and army barracks all over the nation. 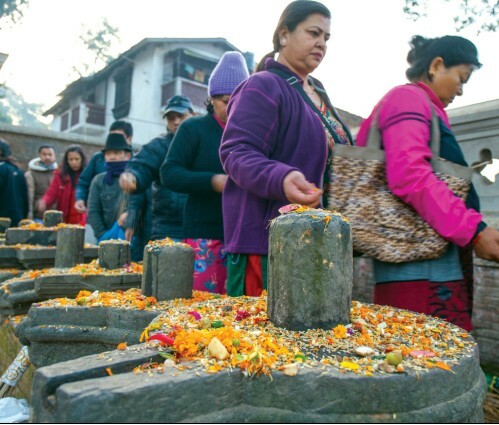 In the capital city, the majority of people prefer to do their sacrifices at Hanuman Dhoka at Basantapur where all the courtyards are busy day and night. The ninth day or Navami is the last day of the Navaratri. This is the biggest day for animal sacrifice. Buffaloes in particular are slaughtered since it is believed that the demon Mahisasur took the form of a buffalo on the final day of his battle against the goddess. Many families worship Nawa Durga in the form of nine girls, who have not reached puberty, as these girls symbolize the goddesses joined in Durga for this struggle. It is believed that one purifies oneself by drinking water from their hands. The nine girls are fed with all kinds of fruits and other delicacies and are also offered money and other gifts. 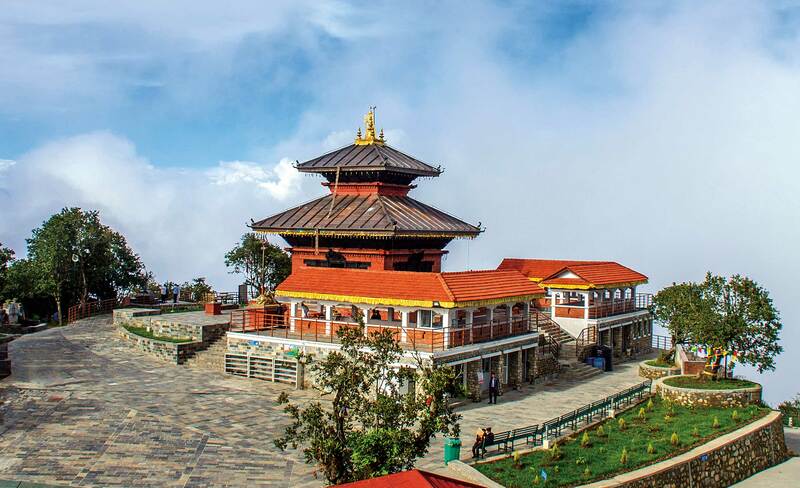 In Kathmandu Valley, the day holds a higher magnitude as a festival because this is the only day in a year when the Taleju Temple at Hanuman Dhoka is open to the public. Hundreds of people from all over the Valley visit the temple from dawn to dusk offering prayers and animal sacrifices to the goddess. It is on this day that the official military sacrifices are held in the 'Kot' (courtyard) at Hanuman Dhoka. The government allows foreigners to witness the festival, hence hundreds of diplomats and tourists visit the temple on this day. The military bands pay homage as they play war tunes to honor the power and valor of the goddess. On Navami, the god of creativity is also worshipped. Thus all factories, vehicles, machinery, instruments and even weapons are blessed by offerings of animal blood (or a substitute of coconut milk). This is done for the protection of any kind of machinery from any damage or destruction throughout the year. 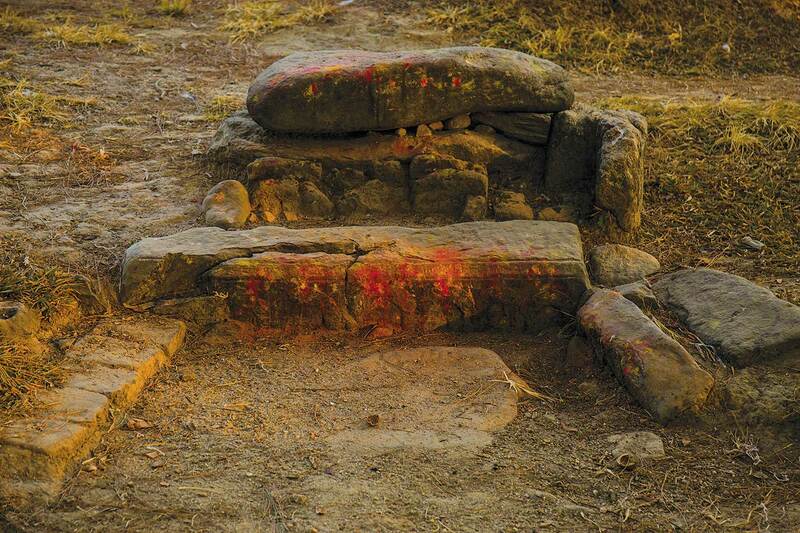 It is also believed that any vehicle denied of this offering will be destroyed. The tenth day is Dashami, and the nine day long puja is over. This is the day of victory of good over evil, gods over demons, celebrated by Hindus all over the world. It is the day when Mahisasur is killed by Durga and Ravan (King of Lanka in the Hindu epic poem Ramayana) is slain by Rama (prince of Ayodhya, an incarnation of Vishnu). And it is the day when younger members of the family receive the blessings of Durga from their elders. Blessings are given in the form of jamara, tika - prepared by mixing rice (each grain has to be carefully selected to make sure that they aren't broken) and abir red powder -, and in recent times, money has become a very important form of blessing. Relatives from distant places visit each other to take blessings from the elders for a period of four days. On Dashami itself, thousands of Nepalis as well as foreigners wait outside the Royal Palace to receive tika and blessings from the King. The fifteenth day, which is the final day of Dashain, falls on the full moon day called Kojagrata. Long before Dashain starts, Nepali women start their preparations for the awaited festival. Village women walk for hours to find sal leaves so that they can weave duna and tapari (small and big bowls) and rikapi (platters) to be used during puja. Hindus are very careful about the purity of utensils used during the puja, which is why they use the freshly made duna, tapari and rikapi. These are also used for serving food to the guests and relatives- duna are smaller in size and are used for distributing prashad (blessing from the goddess in the form of sweets, fruits etc). Tapari is slightly bigger and is used to serve vegetables, fruits and meat. Rikapi is used to serve bhat (rice), puri (chapati), sel roti (sweet donut-like bread) etc. During this festival everything used for puja has to be new, fresh and home made. However, in the modern context, certain things have changed according to the comfort and standard of living of the people. Although the religious aspects of the festival are most prominent, there are other forms of celebrations as well. Dashain is associated with buying new clothes, eating good food, consumption of alcohol and relaxing after a hectic year. Throughout the nation, every Hindu household manages this according to their standards of living. New clothes are considered especially essential, and for most people living in villages, new clothes come only with Dashain. Gambling during Dashain is also considered indispensable. It is only around festival time that gambling is permitted in public places. Relatives are invited to each other's house for gambling and these games (card games are the most common) carry on for days and nights. In bygone days Kauda, a game involving tossing small cowry shells, used to be popular amongst the wealthy classes, including the ruling Ranas and Shahs. Huge amount of cash were involved and people lost and won a lakh of rupees at a time. The skies are filled with kites being flown from fields and rooftops before and during this festival. Kite flying is believed to send a reminder to god not to send any more rain. Youngsters make kites from lokta paper and are excited not only flying the kites but also trying to cut each others' kite strings. In most towns and villages swings, commonly known as ping, are set up especially for Dashain (and remain up through the next festival, Tihaar) on the tallest bamboo poles possible. Young people, especially girls and women, gather to watch and take turns flying into the sky. One of the most important aspects of Dashain is the huge business that comes along with the festival. There is a massive flow of sales and purchases of animals, grains and vegetables, alcohol, fruits and mithai (sweets) around this time of the year. New clothes are bought and old ones discarded. Old houses are cleaned, renovated and painted, whereas the new ones are decorated and beautified. Every sector of the economy experiences a boost. A lot of people travel within the country, returning to their homes. This is the only time in a year when people like to and can afford to be extravagant and live a more lavish life. It is the time when the entire country looks more beautiful and lively also because of the weather conditions- it stops pouring, the temperature remains relatively lower than the preceding months, but it is still not too cold. The sun shines, trees look greener and beautiful flowers are in full bloom. We can feel the freshness and the festive ambience of Dashain ubiquitously.